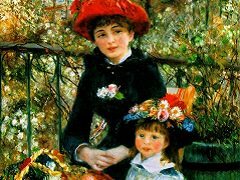 One may imagine that Renoir, occupied on a canvas, suddenly caught a glimpse of the model relaxing in a sunlit corner of the studio, and, struck by the brilliance of her face in reflected light, snatched up another canvas and was well into the work before the girl realized what was going on. 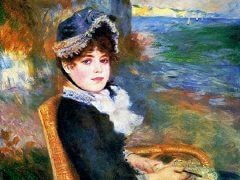 She had "a skin that takes the light," and for Renoir that meant painting, painting without respite. What a dazzling thing he has made of this study! 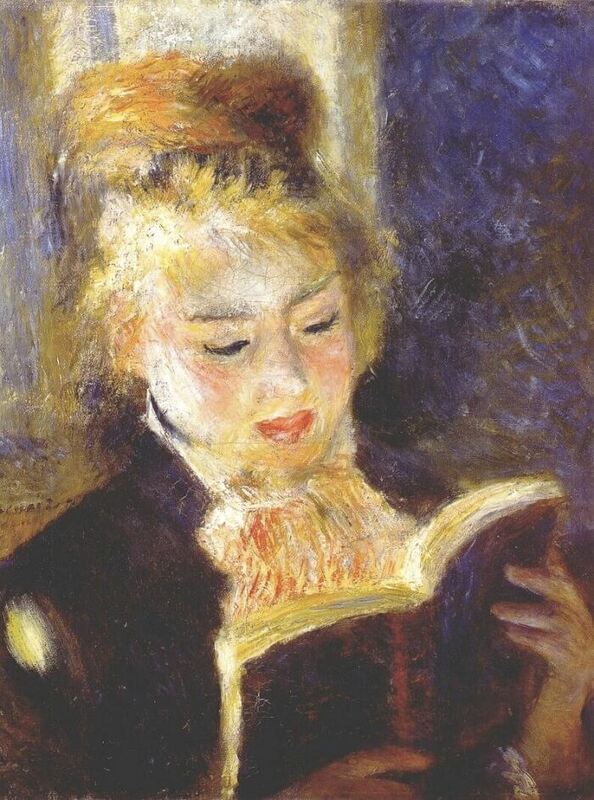 The light, reflected back from the book, makes the shadow of the face transparent, and Renoir there discovers a wonderful variety of fresh and subtle tints. The head glows as though lighted from within; and in the verve and spontaneity of the execution, in the casual ease of the pose, it recalls again the best in French eighteenth-century painting. The brush fairly dances a staccato beat, here laying down thick deposits and there mere washes. 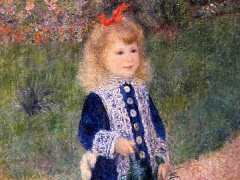 With rapid strokes of the brush, Renoir engages us in a red play; makes the gold flare up into the hair and repeats it on the book. 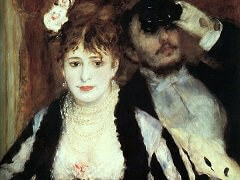 With one dashing stroke the shape of the jaw is given. This parenthesis-curve is seen again in the lips, in the eyes and eyebrows, the book, and elsewhere. 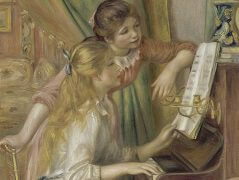 The major theme of the piece, however, is one not seen, and the word for it is insouciance. 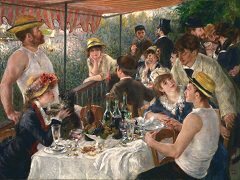 The model was Margot, who is described as having curly auburn hair, sparse eyebrows, red lashless eyes, a wide nose, plump cheeks, her thick voluptuous lips curled in a scornful smile, and noisy and vulgar with her suburban accent. 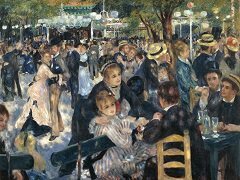 She is the dancing girl in the preceding plate, and was painted often by Renoir - always transfigured by his art. 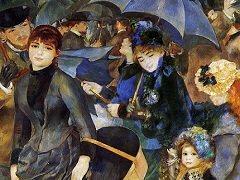 In 1881, this Montmartre demi-mondaine died of typhoid fever, and Renoir paid for her burial. Copyright © 2010 - Present www.Renoir.net All Rights Reserved.